Thermostatic shower valve. Output range 20 - 50°C. Security stop 38°C. Min 1 bar max 5 bar pressure. 285mm wide. Inlet centers 150mm +/- 5mm. 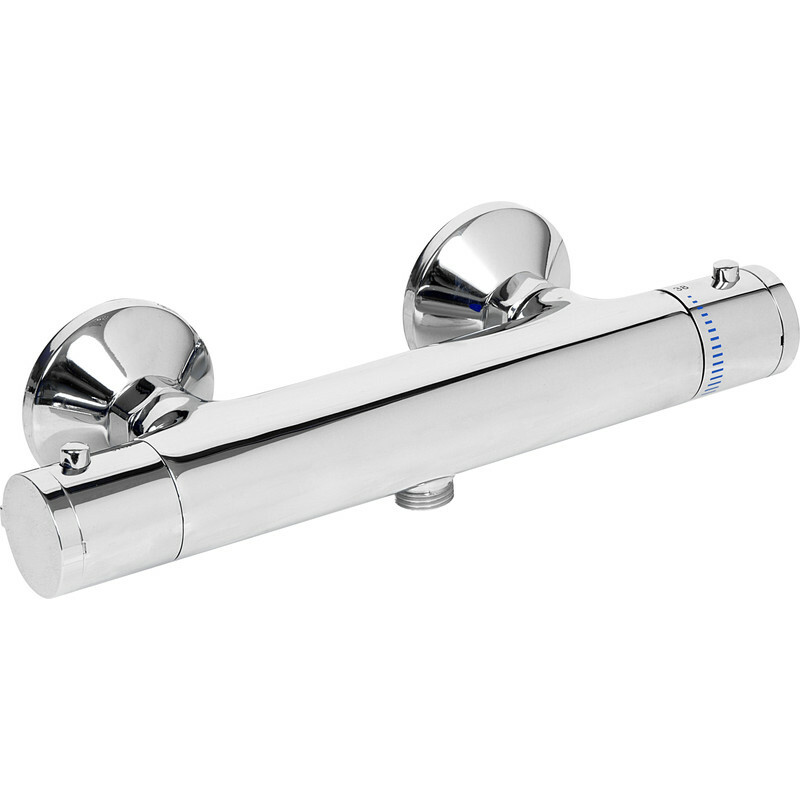 Stroma Thermostatic Mixer Shower Valve is rated 4.6 out of 5 by 13. Rated 5 out of 5 by DanM from Stylish & reasonable price Good quality, easy to fit, overall very happy with it. Rated 4 out of 5 by Mart Will from Does what it should Does what it should. Good value for money. Rated 5 out of 5 by Carol55 from Very smart This looks really smart in my shower I’m really pleased with it. The service from tool station was excellent. Rated 4 out of 5 by Benno from Good value Customer very happy. Good value for price. Rated 4 out of 5 by DIY Jeff from Shower valve I bought this a week ago, the item arrived next day, very good service. I was a little disappointed that the controls for the mixer are are plastic. I didn't notice this in the item description. I'm not sure how long the plastic chrome finish will last. Rated 5 out of 5 by Old chap from Excellent vale I replaced a similar one, so all I had to do was unscrew the two nuts, a quick clean of the existing adaptors (new ones in box if required) and fit the new sealing washers and tighten the nuts. It only took a few minutes. Has been working for a week or so and all is well. It seems to have some sort of insulation/design change inside the body of the unit, as although is still gets hot it does not seem to get as hot as the previous one. Rated 5 out of 5 by Anonymous from Worked just fine Bought to replace an existing mixer. it fitted perfectly and works a treat.